Fun project coffee heatmap based on OSM data…. Friends of mine are planning to open a coffee bar in Nürnberg city centre. Where is a blank spot? Starting point: You have data stored in a vector point data layer with attributes attached to each point, however, the points are overlapping. 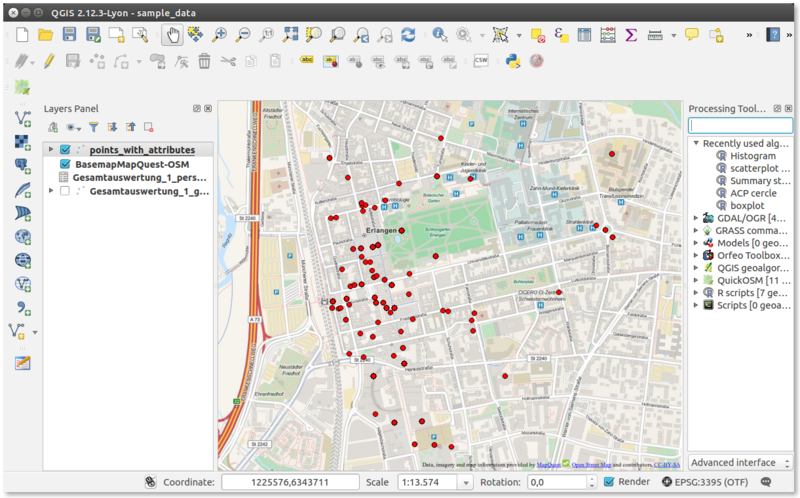 For this tutorial I used QGIS 2.12.3 Lyon, Ubuntu. 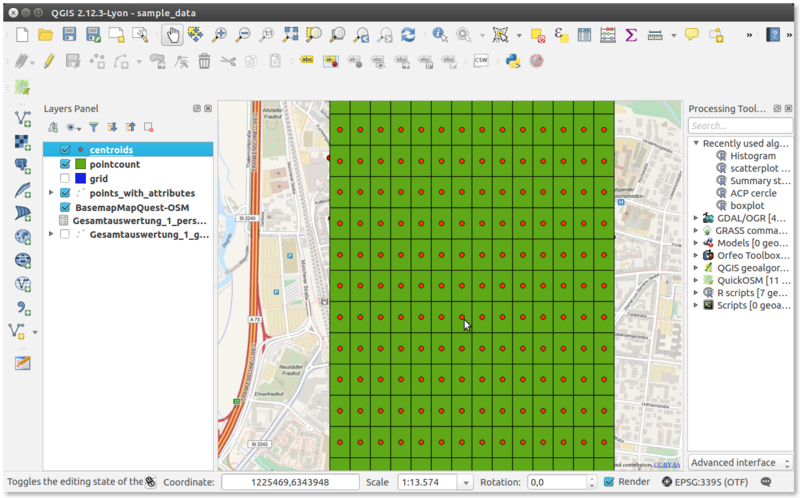 Task: A heatmap would be a solution, however, you want to count the overlapping points in a defined raster in order to make the map more clear and to be able to do further analysis of the data. In other words, you want to realise a point clustering. If you want to make comparisons among specific attributes, please refer to the optional step at the end of this tutorial. Depending on your project settings and your specific aim you may choose different parameters here. 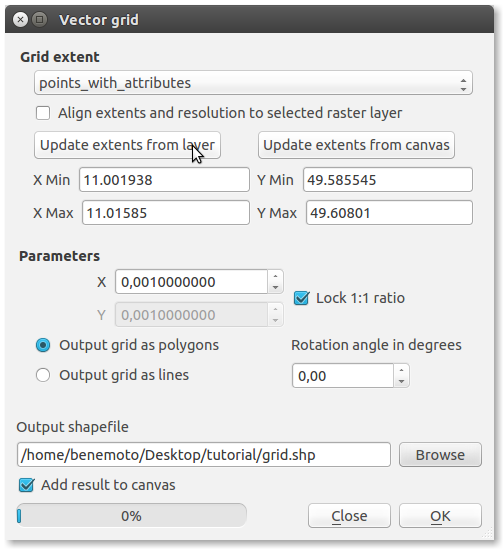 In my case I the took the extend of my point layer and set the grid distance to 0,001. 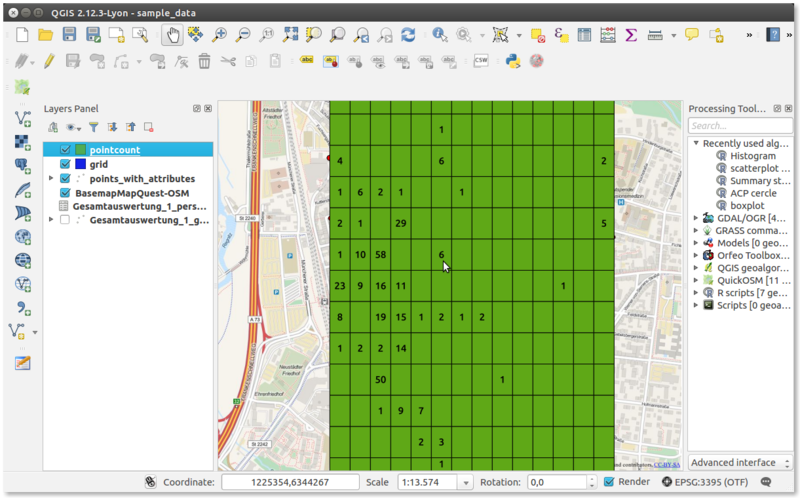 The tool will count the points in each polygon raster cell and it will aggregate the attributes attached to the points. You can choose various attributes that will be aggregated to the new shape layer. Unfortunately you can only choose very basic statistics to aggregate the data, e.g. the mean value. 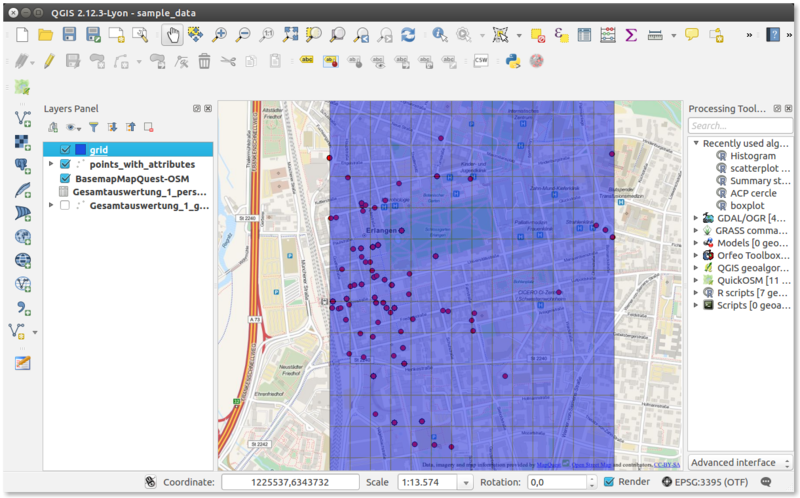 To display the data as a point cluster, you have to create/convert the polygon centers as a new points layer. 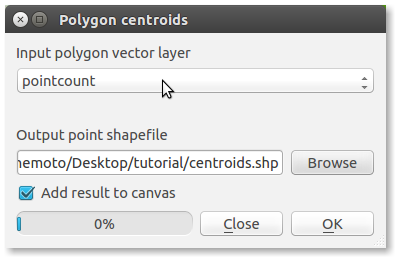 Please remember to select the last generated polygon layer (pointcount). I called the layer centroids. 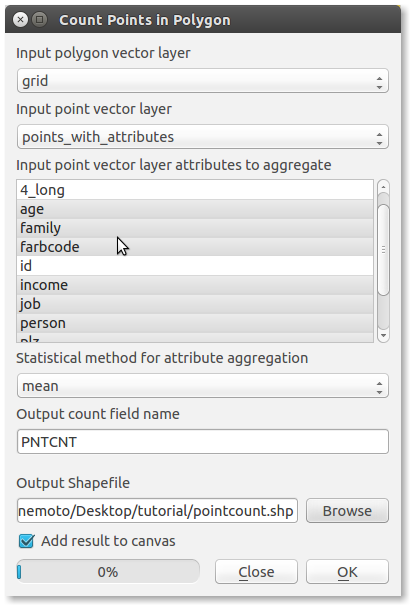 The layer generated in the last stepcontains all the attributes of the pointcount layer. We can use this attributes to make the map more understandable. First hide all the other layers except the basemap and the centroids layer. 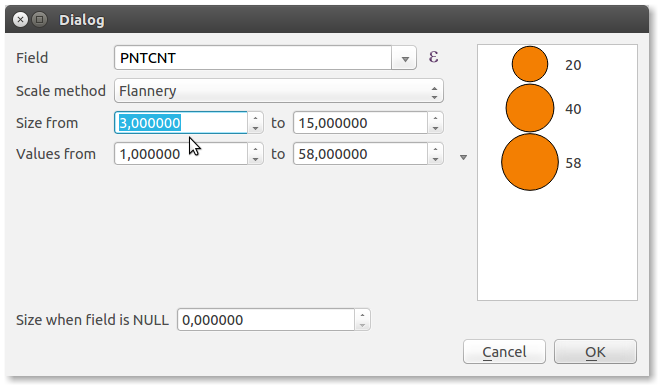 Next is to label the points with the PNTCNT (pointcount) attribute. 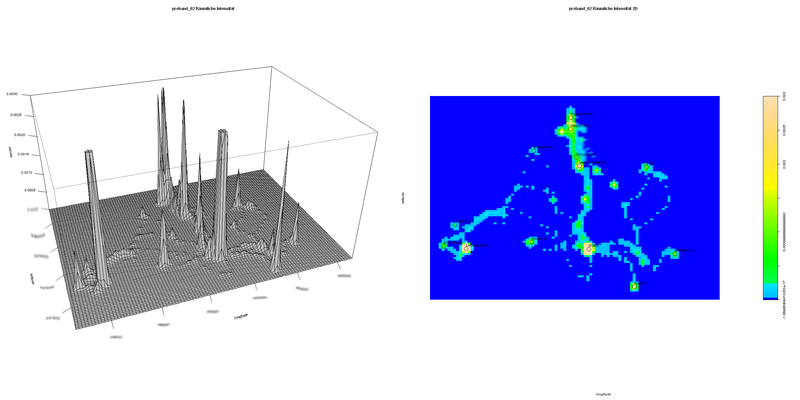 This will display the quantity of points (from the original dataset). 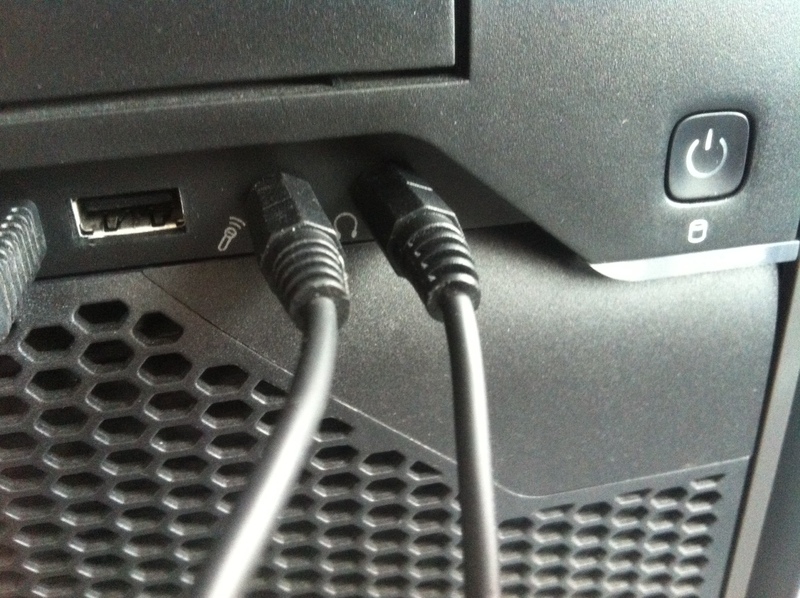 Please set the PLACEMENT of the labels to offset from point. Alternatively you could label the mean values of the attributes of the point cloud. 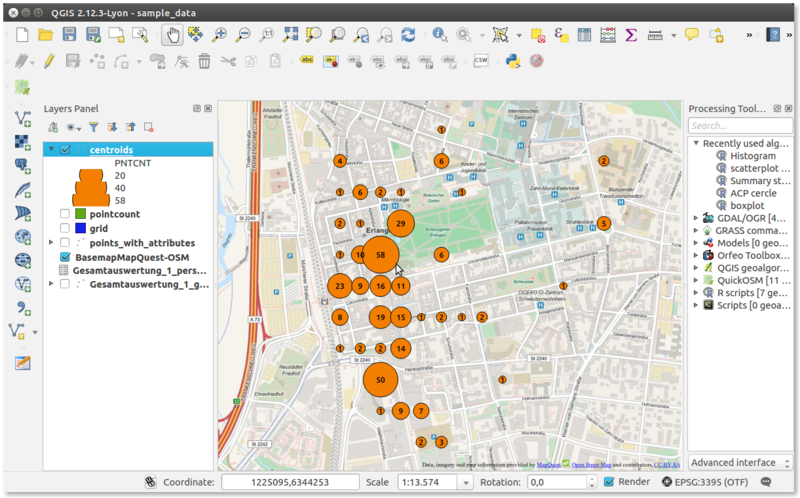 If you want to compare the dataset in such a cluster map based on a specific attribute, you have to first “split” the dataset. The attribute you select as the Unique ID field will be the attribute among which the layer will be splitted. In my case the result are three diferent shape files. Each one containing only the points that have the “farbcode” of 1, 2 or 3. If you want to compare the layers as a cluster point map, you have to repeat step 2–4 for each of the three created layers. There is no doubt that the transcription of audio files is one of the most exhausting tasks in qualitative research – better: was! Certainly, there are several speech recognition software providers, however, I found the Google Speech API in Chrome Browser most helpful. 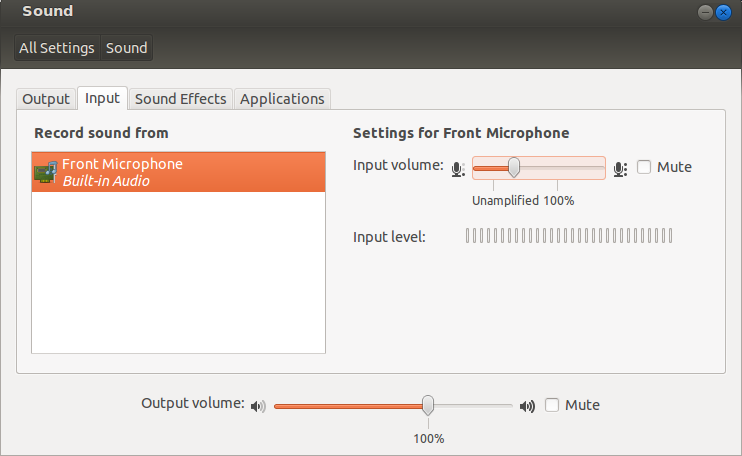 The files have to be perfectly recorded without surrounding sounds or echo (I used a high quality ZOOM audio recorder). There are currently over 40 languages supported. Data privacy: Please be aware that you have no control about how Google uses your audio files. Please use this only if you have the agreement of your interview partners to publish their statements and/or the information is public (see https://www.google.com/chrome/browser/privacy/whitepaper.html). 1. 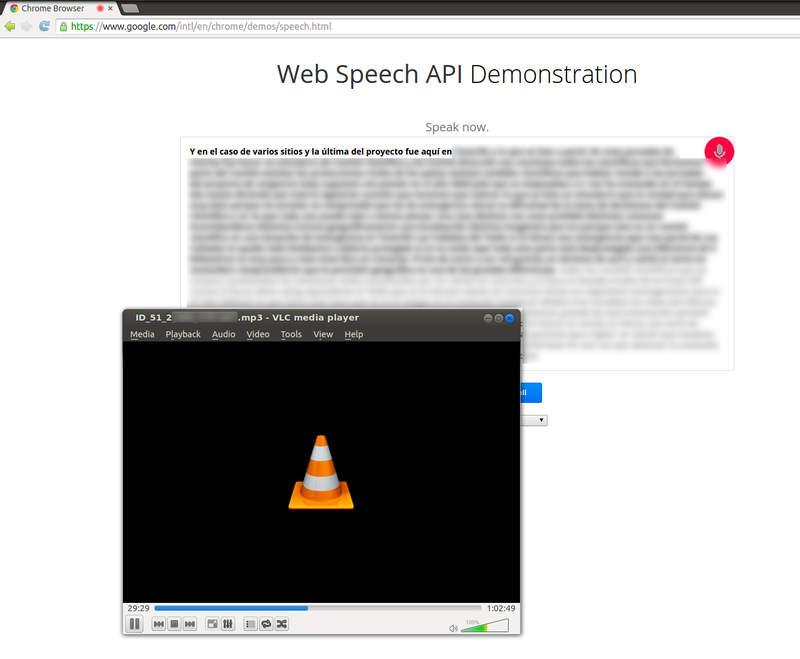 Open Google Speech API Demo page on https://www.google.com/intl/en/chrome/demos/speech.html in a Chrome Browser window. With the recently relased version of the package RGL (V. 0.92.879) there is a new option to publish 3D plots as an interactive WebGL graphic. 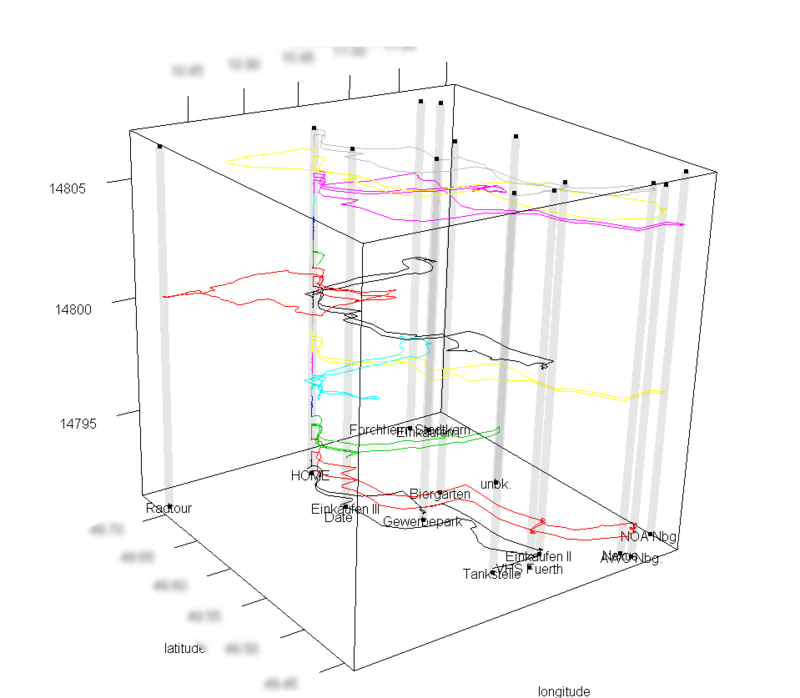 Nearly every 3D plot you set up in a RGL window can be exportet via a very easy command. Just plot as usual into your rgl device and then use the command “writeWebGL()”. To get a quick impression about the temporal stay of places it is helpful to generate a plot of the trackpoints spatial density (intensity). As the 3d visualisation has both advatages and disadvantages, a combination with a 2D plot is useful to interpret the data. The data used in this example is a gps record of the “everyday life” of a test person. With the rgl package it’s possible to interact with the 3d visualization of the timespace tracks. In the posted example individual waypoints were added by drawing vertical lines.